The compact Kyocera ECOSYS M5526cdw from RYAN offers exceptional four-in-one convenience and unmatched economy as a versatile desktop color printer, copier, scanner and monochrome fax. 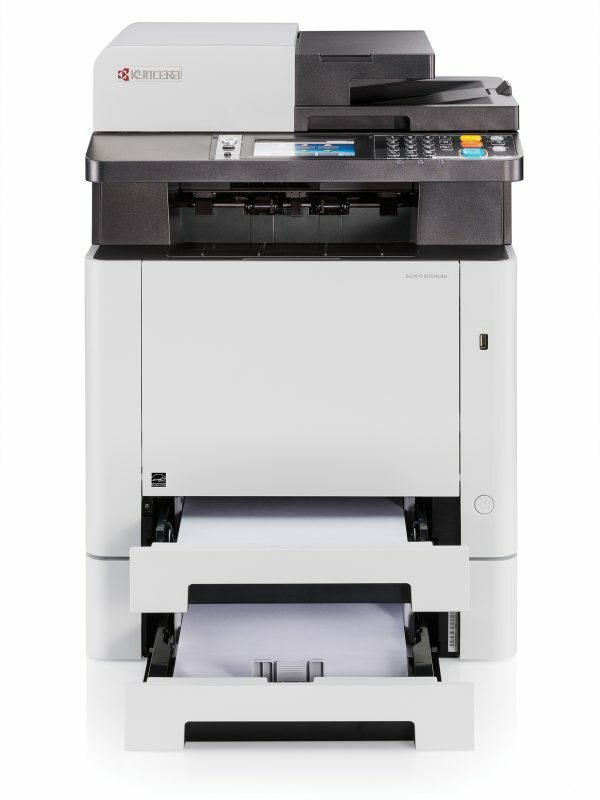 Designed to support the demands of today’s mobile workforce, the network-/wireless-ready ECOSYS M5526cdw from RYAN delivers professional color and crisp black-and-white output at up to 27 pages per minute. And with intuitive walk-up operation and software tools, this flexible system enables users to create, access, store and share information faster than ever before–whether in the office or on the go.